The new FX Buckley Protein pack is great quality and superb value. To see our three branches, click here. If there is any meats you cannot find on this site please do not hesitate to contact the shops where we would be delighted to answer any queries or questions you may have. 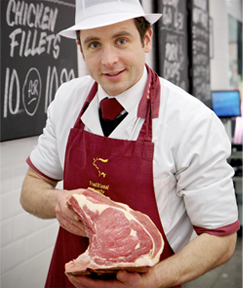 At FXBuckley Butchers, we’re dedicated to delivering the highest-quality, naturally reared Irish products from the farm to your table. To meet this goal, we work with traditional artisan craftspeople and farmers, to source the finest quality products you can buy – each one hand selected and tasted. If you are not completely happy with your order, simply contact us and we will go to extraordinary measures to make things right. Otherwise we will issue a full refund, promptly and courteously.